On May 31, 2012, we celebrated our 250th anniversary. dedicated on December 20th, 1896, by Pastor W. H. Ehrhart. 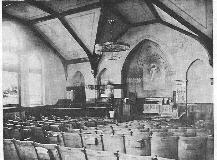 Church at Pleasant Valley, St. Mary's became a two-church parish. partnership and call their own pastor. Today, we have approximately 280 members in the congregation. Thomas Hollowak reported some tombstones in the old portion of St.
Ashcraft's 1997 version. The information can't be verified. researchers will find the information useful." 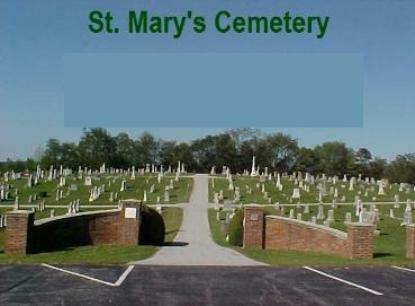 authorities were obliged to secure a new burial ground. the best location: Edward Z. Matthias, Cyrus Feeser, James E.
the church building and joining the land of J. Henry Knipple and Wm. J.
build a suitable fence for enclosing said ground. per lot of 10x16 feet. said lots to persons who may hereafter wish to purchase. only, no centralized lists of members exist at church-wide/ synodical offices or archives. Protestant groups also use this term. · In some cases, records of communions and membership lists may be included. such as women's, men's or youth groups. as possible, including full names, relevant dates, and place names. your letter includes as much of the following information as possible. than English, so that each item of information you provide will save time and effort. 1. Full name of person(s) to be researched. 2. Known or approximate date(s) of birth or Baptism, marriage, death, etc. 3. Name of state, county and town where your family lived. 4. Name(s) of congregations(s) where your family were members. 5. Name(s) of pastors who performed Baptisms, marriages, etc. 6. Ethnic group of your family, i.e., German, Swedish, Finnish, etc. sure that your relatives were Lutheran. have been lost, destroyed, or even stolen. some records from St. Mary's Church . family is listed in this publication.